How did IDEFEND Krav Maga originate? IDEFEND South Africa is an authorised affiliate of Israeli Krav International in Ma’aleh Adumim Israel and we are your premier self defence training organization in South Africa. 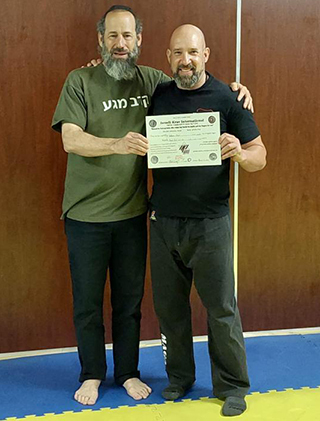 Krav Maga instructor, Anthony Segal is a long-time protégé of Jeff Miller, and has been exposed to Krav Maga training at an advanced level. Anthony takes a simple, yet powerful approach to the Krav Maga he teaches, and works at continually expanding his skill set. He has one overriding criteria for everything he teaches: practicality. Anthony’s experience as a security specialist means that he also gets to find out – on a very practical basis – what works and what doesn’t. Anthony’s style of teaching is personable and energetic, and his goal is to inspire every student with the understanding that, with the right mindset, anything is possible. © 2018 IDEFEND - This website is protected by copyright and trademark laws under R.S.A and International law.